Burt Reynolds brings his signature laugh and effortless-carefree-charm as “The Greatest Stuntman Alive” Sonny Hooper, and Sally Field reignites the onscreen chemistry the two shared in their hit Smokey and the Bandit, as Hooper’s girlfriend Gwen. Gwen desperately wants Hooper to walk away from the stunt game while he can still walk at all (his doctor has warned that he’s one bad fall away from becoming a quadriplegic), however, Hooper’s willing to take pain injections to try and make it through filming. The stakes get higher when narcissistic director Roger – played with egomaniacal perfection by Robert Klein – wants the biggest stunt of all-time in his movie’s finale, so Hooper teams up with the new fearless young stuntman Delmore “Ski” Shidski (Jan-Michael Vincet) with plans to launch a rocket car over a 335-foot gorge, risking everything for a 100K payday before calling it quits. 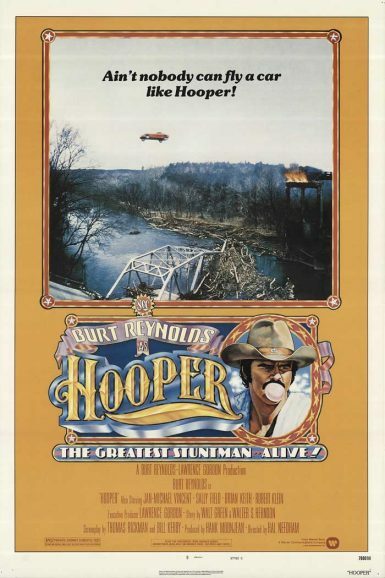 Hal Needham (Smokey and the Bandit) who started out as a stuntman, brings the fun and directs a wonderful cast that includes: Brian Keith, James Best, Adam West, a barroom brawling Terry Bradshaw, and one of the first ever end credit “blooper” reels. Known extortionist Jake Farley is found murdered, and all signs leads to Joe Paris, an ex-detective with a violent past. Although Paris has no memory (and no alibi) of the night in question, public defender Jenny Hudson is eager to land her first major case and is determined to fill in the blanks. Conflicts of interest, contradictory testimonies, and crooked motives leave the case encumbered by deception on both sides. 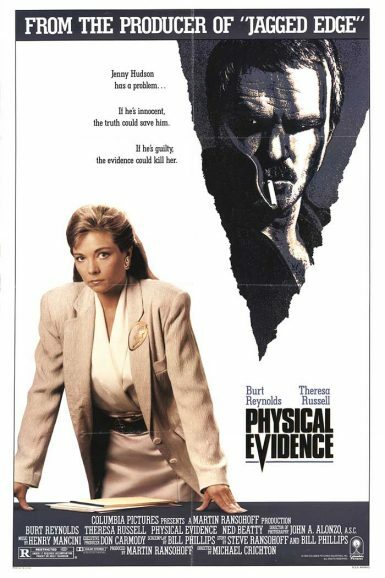 In the final film directed by beloved novelist Michael Crichton, Burt Reynolds and Theresa Russell are the defense who, against all odds, must learn to trust one another and work together to dismantle the lies surrounding them. If he’s innocent, the truth could save him. If he’s guilty, the Physical Evidence could kill her.